The Development Finance Corporation (DFC) has received a loan from the Caribbean Development Bank (CDB) to finance projects in the productive sector (agriculture, tourism and industry); especially loans to micro and small enterprises (MSEs) and low income housing. These sectors are highly vulnerable to the impacts of Climate Change. In fact, climate variability and climate change is already having adverse effects on the productive sectors within DFC’s portfolio, particularly in the agriculture sector. For example, prolonged drought conditions in northern Belize and floods in southern and western Belize in the recent past have resulted in losses in the agriculture sector, thus adversely affecting clients’ repayment capacity. DFC has a bold Strategic Development Plan – “Strategy 2021: Building resilience against Climate Change and Economic Volatility”. 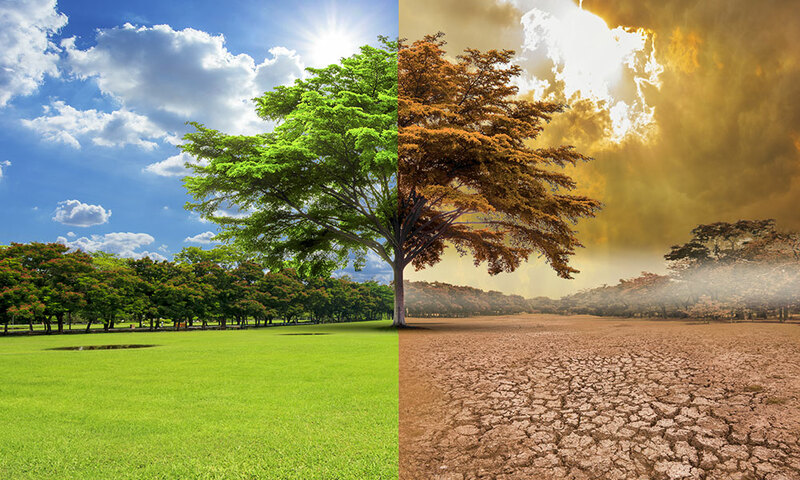 A strategic priority of the plan is building resilience to the effects of climate change, and to ensure that consideration of climate change risks is reflected throughout DFC’s lending operations. Within this context, the CDB approved a technical assistance grant to integrate appropriate climate risk assessment provisions into DFC’s investment policies and procedures, and to strengthen staff skills in order to improve the Corporation’s overall due diligence process in its credit function to ensure the sustainability of its operations. DFC intends to apply a portion of the proceeds of this financing to eligible payments under a contract for which this invitation is issued. DFC now wishes to procure consultancy services to strengthen its capacity in due diligence for Climate Risk Assessment of financed sub projects (credit lines). The objective of the technical assistance is to improve the institutional capacity of DFC to assess and manage climate risks in its credit delivery and administration processes. The duration of the assignment will be for a period of five (5) months. DFC now invites interested eligible individual consultants (or groups) to submit Expressions of Interest for the provision of these consultancy services. the consultant has no arrangement and undertakes not to make any arrangements, whereby any substantial part of the net profits or other tangible benefits of the contract will accrue or be paid to a person not a citizen or bona fide resident of an eligible country. Eligible countries are member countries of CDB. The attention of interested Consultants is drawn to paragraph 1.9 of CDB’s Guidelines for the Selection and Engagement of Consultants (2011), setting forth CDB’s Policy on Conflict of Interest. (c) Resources with excellent written and verbal communication skills. Reviewing and assessing the existing, policies and procedures guiding the lending operations of DFC, including the strategic development plan. The review should include an audit of selected DFC-financed projects to identify the frequency of those most sensitive to climate change impacts. Assessing the current practice, procedures, tools and mode of operation of DFC with regard to environmental appraisal of credit lines. identifying opportunities for updating and integrating climate risk screening into the existing DFC environmental screening checklist. Making recommendations for the most appropriate climate risk assessment procedures for credit lines based on findings of Items (a) to (c) above. Discussing recommendations from Item (d) above with DFC management and project staff and making amendments as appropriate, having regard to feedback. Revising the appropriate policies and procedures to include any amendments agreed to in Item (e) above. Facilitating a training workshop for DFC staff on climate risk screening and review procedures for sub-projects (credit lines), in collaboration with CDB staff. All information must be submitted in English. Four copies of each submission must be delivered in a sealed envelope to the DFC Headquarters at the first address listed below no later than 16:00 hours on March 1, 2019. Sealed envelopes containing the submission should include the name and address of the applicant or applicants and should be clearly marked “EXPRESSION OF INTEREST – CONSULTANCY TO STRENGTHEN DFC CAPACITY IN DUE DILIGENCE FOR CLIMATE RISK ASSESSMENT OF SUB PROJECTS. In the assessment of submissions, consideration will be given to technical competence, qualifications and experience, including those stated above, as well as local and regional experience on similar assignments. The consultant must demonstrate familiarity with the operations of development financial institutions and knowledge to assess and manage climate risks in financial institutions. Following the assessment of submissions, a shortlist of three consultants shall be performed and ranked through the comparison of the relevant overall capacity.